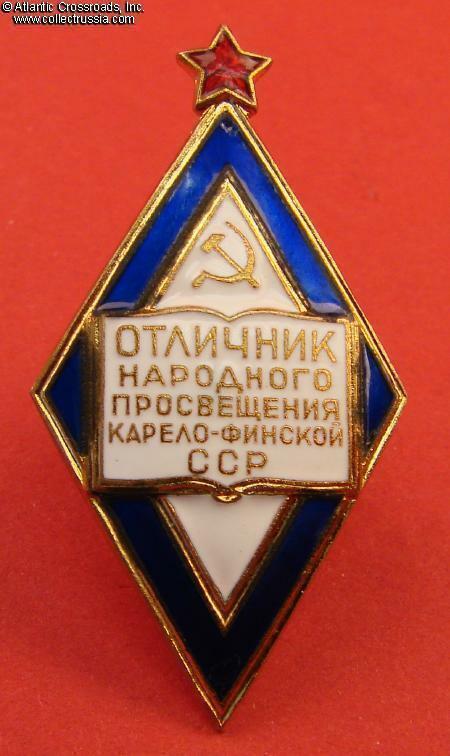 Badge for Excellence in Peoples Education of Karelo-Finn SSR, #160, early 1950s. 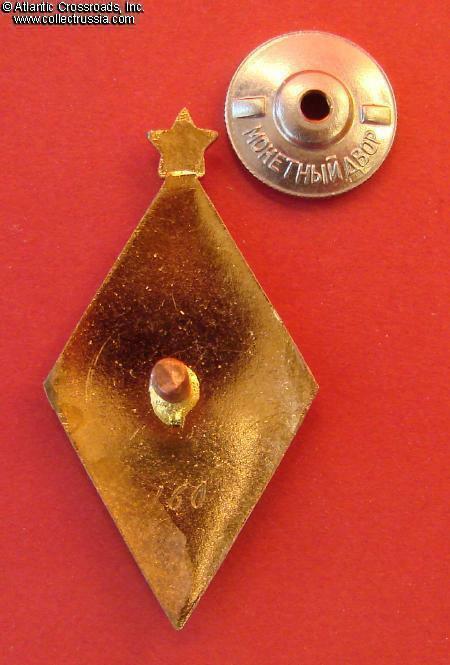 Brass, enamels; 43.9 mm x 22.7 mm. 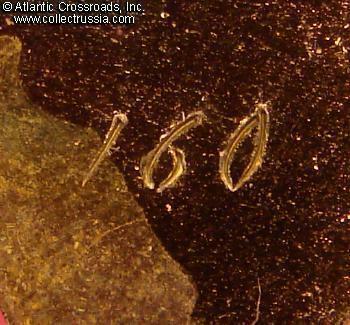 Engraved serial number "160" on the reverse (note the extremely low number which gives a good perspective on the rarity of the badge). Serial numbers are not typical of the Peoples Education badges, but we believe this number to be legitimate and of the period. In excellent condition. 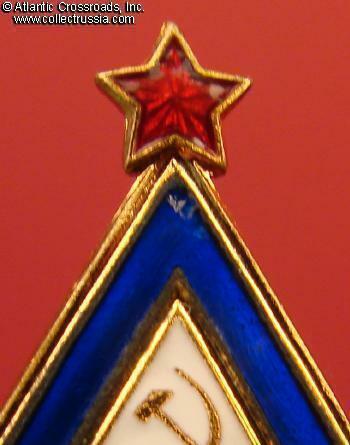 The blue border has a small flake near the top, practically unnoticeable without magnification. The enamel is perfect otherwise. The gold finish is pristine. 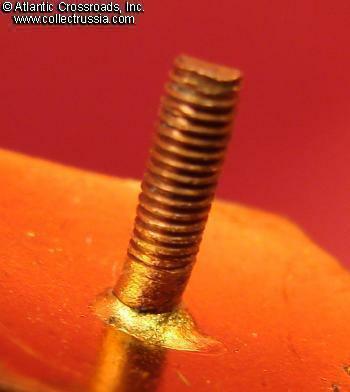 The screw post is full length, well over 10 mm, and comes with original mint marked screw plate. 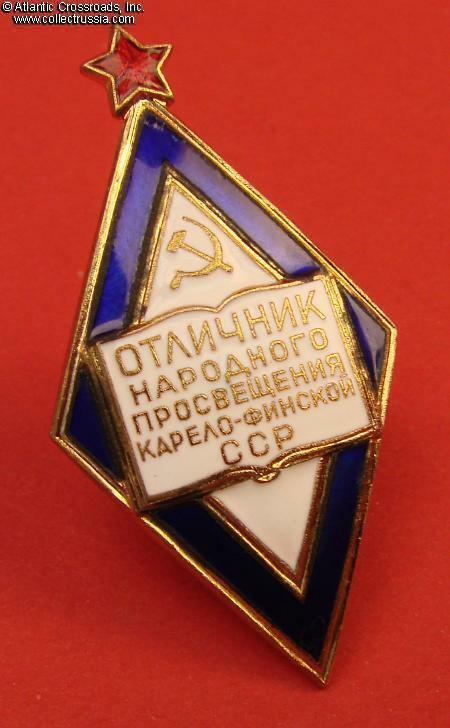 This badge was issued during the short period when the Karelo-Finn Republic had a full "Union Republic" status, same as Ukrainian SSR or any other republic in the Soviet Union. In 1953, it was transformed into an autonomous republic within Russian Federation (RSFSR) - apparently after the plans to absorb Finland were indefinitely put on hold. The number of the Soviet republics thus went down to 15 and then remained steady until the final collapse of the Soviet Union in 1991.